Gate 11 Distillery is a true micro-distillery practicing Small Batch Alchemy. We offer an array of distilled spirits experiences from tours of our custom-built still systems to fine spirits served by taste, flight, bottle or cocktail at our indoor and outdoor bars. Located within the historic Chattanooga Choo Choo complex, Gate 11 distills, bottles and serves a diverse range of high quality spirits. Through our Gin Class and Tennessee Whiskey Experience programs we offer an unparalleled opportunity for our visitors to learn about and participate in the process of distilled spirits production. Gate 11 Distillery is located within Chattanooga’s historic Terminal railroad station known more recently as the Choo Choo. The distillery is located between one of the original station ticket windows and Track 11 where the iconic Chattanooga Choo Choo engine resides. Built in 1909, this massive Beaux Arts structure has become an internationally recognized symbol of the historic rail heritage of Chattanooga. Saved from demolition by a group of local investors in the early 1970’s, the Choo Choo complex is currently undergoing yet another reinvention with the addition of exciting new entertainment, dining and retail offerings! Gate 11 indoor and outdoor cocktail bars look out upon the iconic Choo Choo engine and the Glenn Miller Gardens. Located 400 feet away at the north end of the Choo Choo complex is the Gate 11 Whiskey Boxcar where we age (and occasionally sample and taste) our whiskey spirits. 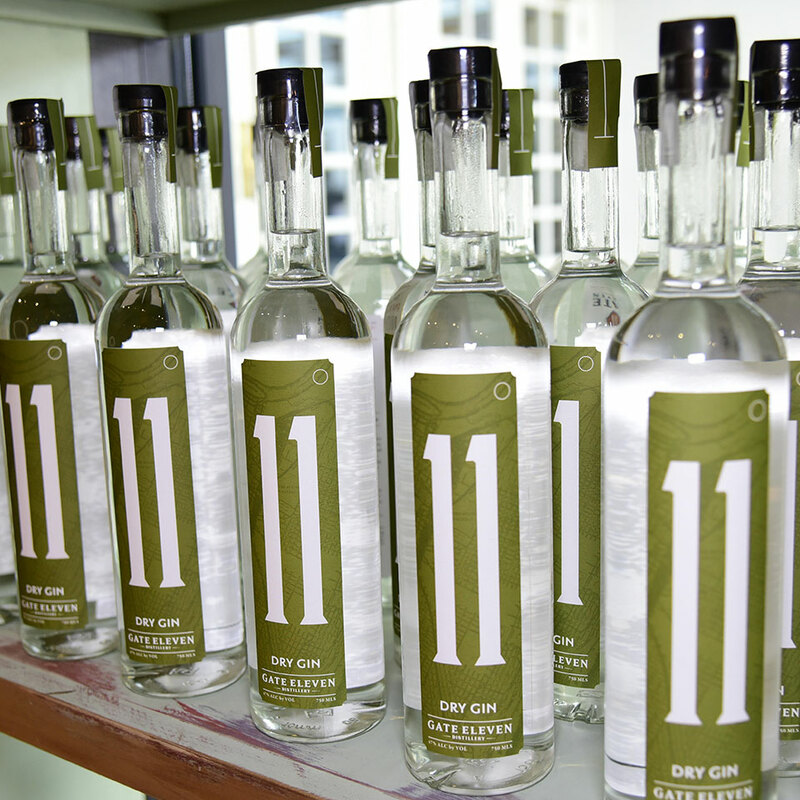 Gate 11 Distillery is proud to distill and bottle its own vodka, gin and whiskey products. 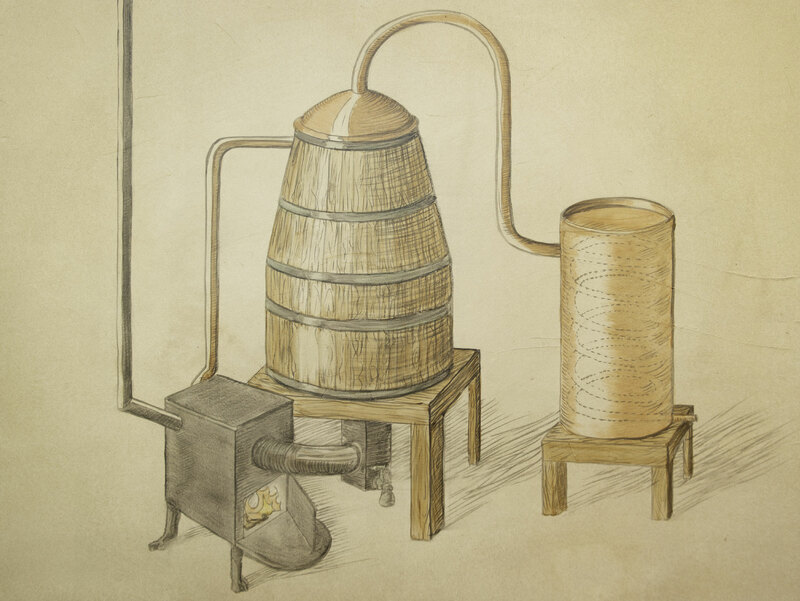 Coming in Spring 2019, we will distill and bottle our own rums as well. Gate 11 will continue to develop and launch many additional new products in the coming years. We also plan to offer interested parties the opportunity to make their own customs whiskies and gins! Honoring the long tradition of innovation and industry in Chattanooga, Gate 11 distillers use the finest sourced raw materials and ingredients to produce a wide range of high quality distilled spirits products. 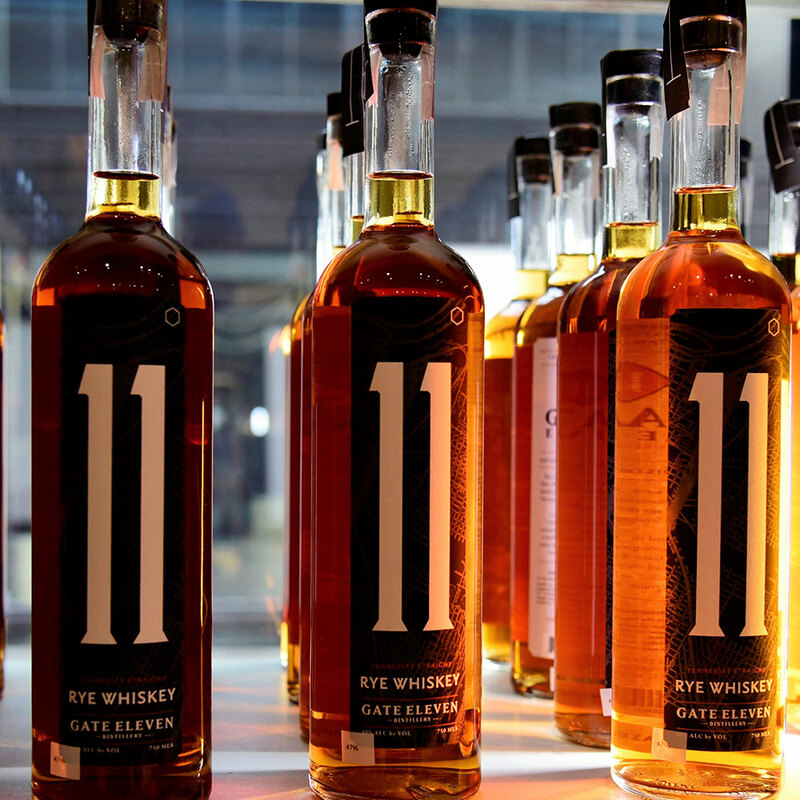 Gate 11 distills, barrel ages and bottles its own Tennessee, Bourbon, Rye and Malt whiskies. We barrel age our whiskies in our own Whiskey Boxcar located adjacent to our distillery within the Chattanooga Choo Choo complex. Because whiskey takes time to create, we have chosen a very special Rye Whiskey from another Tennessee distiller as our first whiskey offering. This products is only available at our distillery and bar. Rye can serve many masters. Here, the masters have chosen to distill and age this rye into a fine Tennessee Straight Rye Whiskey. Enjoy this product as we work to create our own whiskies! 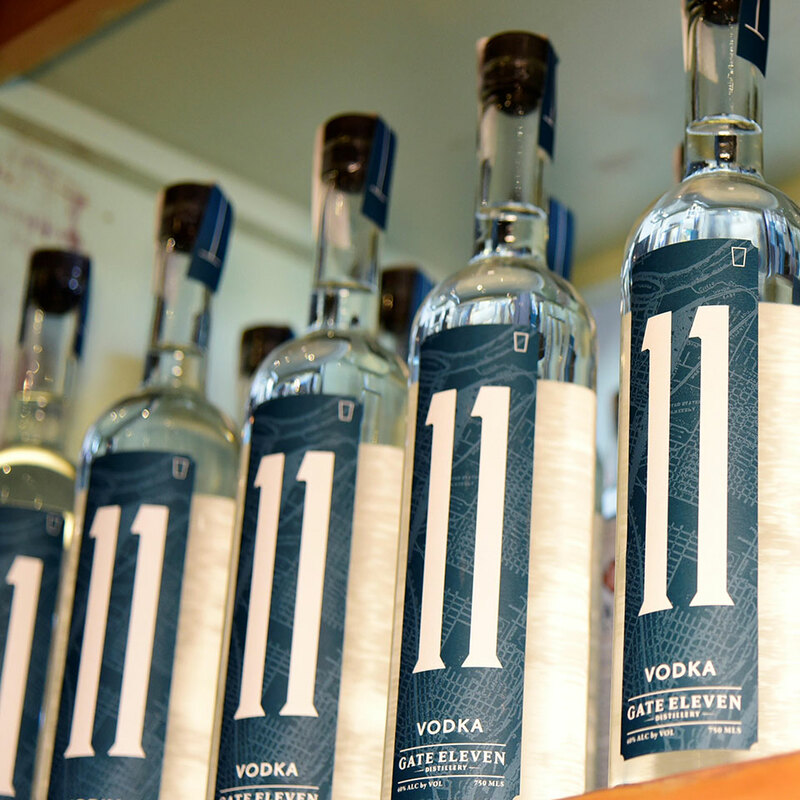 Gate 11 distills and bottles its own vodka products. Starting with a corn-based spirits from farmer-owned mid-western distilleries, Gate 11 distillers refine our vodkas through a custom-built column distillation system here it received intensive contact with copper. 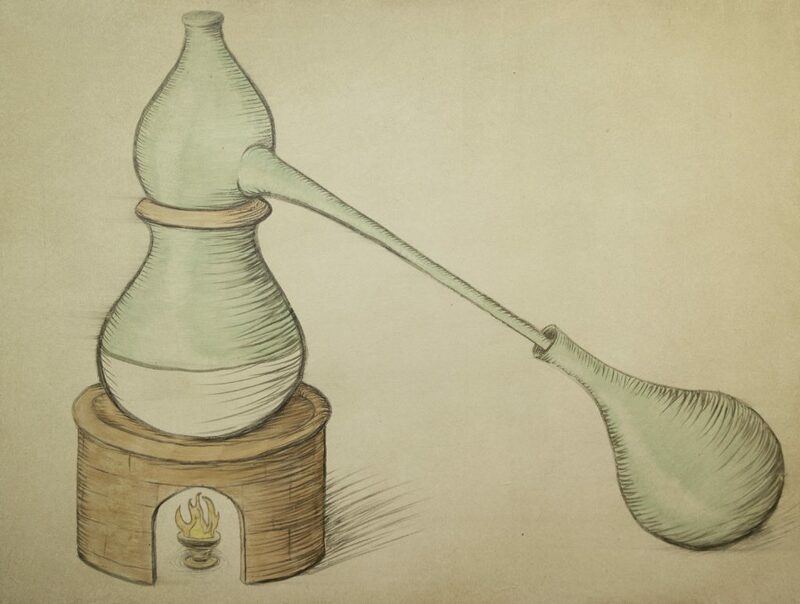 We then filter our vodka through a blend of activated carbons to create a very special vodka product. Gate 11 distillers select and source the finest botanical ingredients from local sources and from around the world to produce our gin products. We infuse our botanicals in our neutral spirits for anywhere from 12 to 24 hours and then distill the blend to capture the botanical essences. Our blend mixture includes juniper berries in addition to seven other botanicals. We have chosen to feature Orris Root as well representative of the Tennessee State Flower, the Iris. 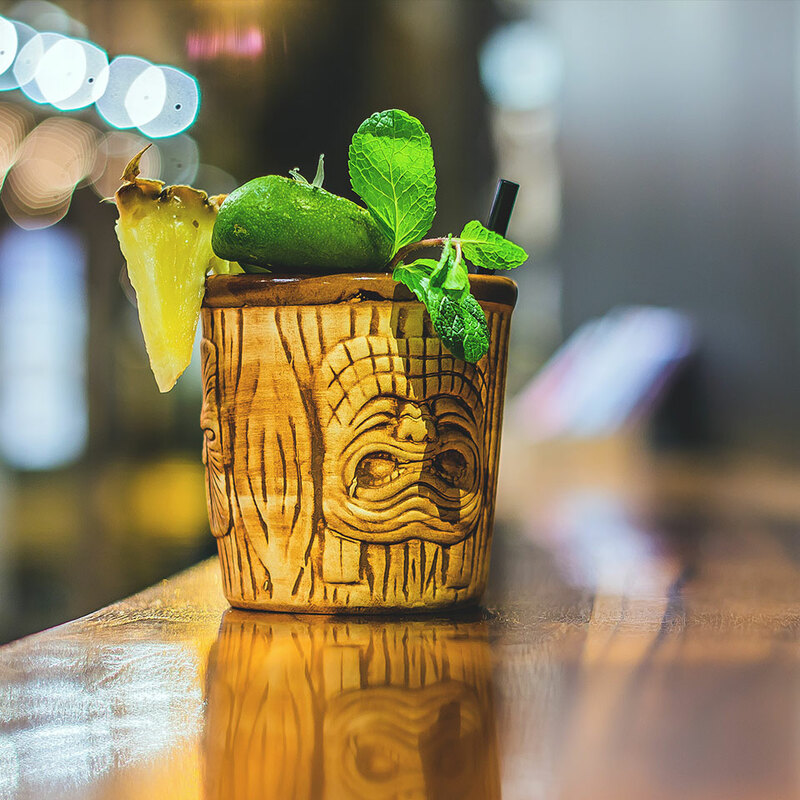 Coming in Spring 2019 – Gate 11 Rum! We source our cane sugar and molasses from Florida and Carribean sugar mills. We then ferment this raw material and distill it in our pot still to create a low wines rum intermediate. 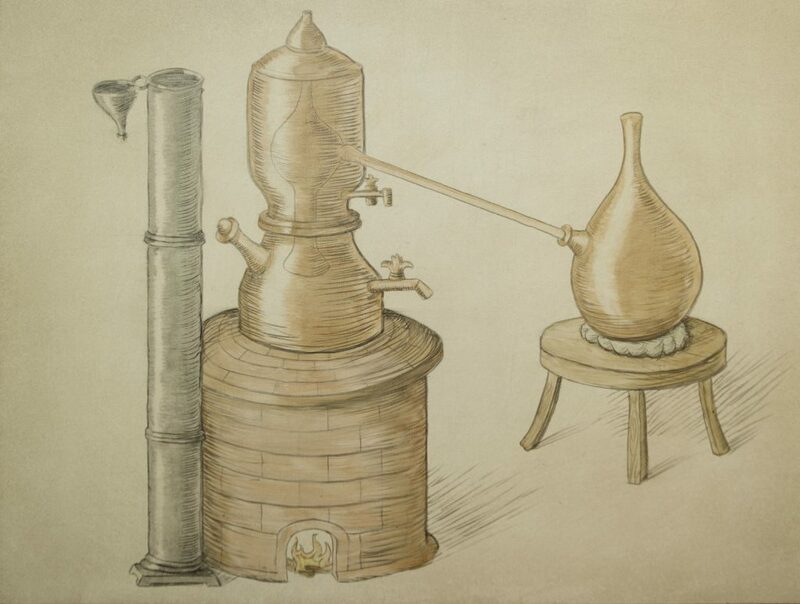 From there, we further distill our rum in our column still to refine it into a unique white rum. Perfect for blending into your favorite cocktail or for savoring alone. Gate 11 offers several educational and personalized experiences for spirits lovers. Please email us at bill@gate11distillery.com or call us at (423) 825-GATE for more information. We offer tours of our distillery space Tuesday through Saturday, 11 am to 4 pm. Tours cost $12 per person and includes a tasting of spirits. Regular tours are limited to groups of six at a time. Special tours for larger groups can be arranged by contacting the distillery. Bottles of our spirits and other merchandise are available for purchase after the tour. A fun experience for individuals or groups! Our gin class participants will get to see, smell, and taste a variety of botanicals that are used in the production of gin. The class includes a gin cocktail of your choice, a potpourri of the Gate 11 gin botanical blend, and 10% off of a gin bottle purchase. This unique program provides individuals or groups the opportunity to build a custom whiskey from raw ingredients all the way to bottled product. Select the type of whiskey you prefer from Tennessee, Bourbon, Rye or Malt. Participate in the fermentation, distillation, barreling and bottling production process at Gate 11. Your whiskey will be barreled in both 10 and standard 53 gallon barrels. It will be aged on site in our Whiskey Boxcar where you may conduct periodic samplings and tasting to monitor your spirits progress towards complexity and deliciousness! Gate 11 enthusiastically supports the growing Chattanooga music scene as a performance venue with live music, open mics and other types of entertainments offered regularly. Check out our Facebook and Instagram pages for upcoming events and details. Bill has deep roots in the Chattanooga area. He is a descendant of a TVA engineer, a Soddy Daisy miner and several generations of Sequatchie Valley farmers. Lee had a successful career in agricultural processing and alcohol production in the Midwest where he developed the spirits for Prairie Organic Vodka and the now legendary Shakers American Vodka. 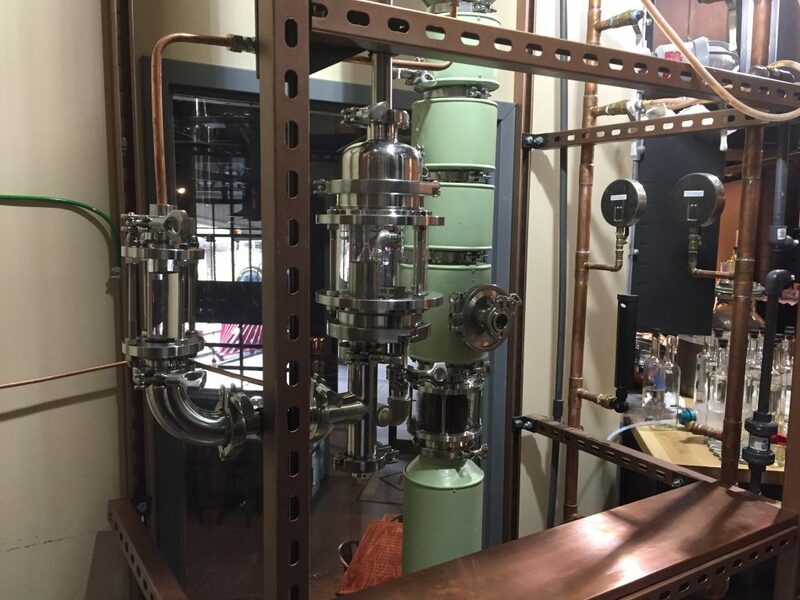 Now this chemical engineer has returned home to pursue his passion, building a remarkable craft distillery in Chattanooga. Wanda has a background in education and theatre. At Gate 11, Wanda manages financial, procurement and logistics issues. As our resident Gin Mistress, she formulated the specific botanical blend for Gate 11 Dry Gin and will play a key role in our Gin Class program. Whitney brings a unique background that includes chemical analysis, food and industrial quality assurance and regulatory compliance. She also provides perspectives from her experience in bar management. The fourth member of the core team, Brett is a veteran bartender and bar manager with experience in a number of local restaurants. At Gate 11, he manages bar operations and assists with social media and other marketing. Gate 11 Spirits are crafted with mastery and care to bring a complete and unique experience that only Gate 11 Distillery can provide.